We added the option to create the actual journal page from our fundraising software. The following is step by step instructions. The first step is to decide which publishing software you will use. We currently allow MS word and InDesign. More can be added upon customer requests. Go to the Administrator screen and select Journal Company Number form the drop-down. Here you should enter by value the company you will use for journal creation. And by valuetext enter the extension of the file format being used. 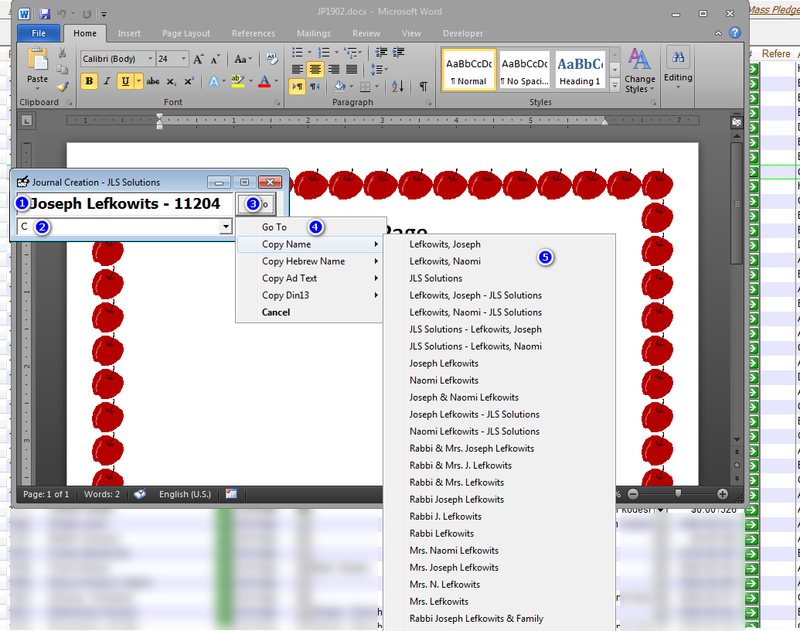 For example for MS Word 97-2003 format you enter doc, MS Word 2007-2015 you enter docx and InDesign you enter .indd. Now you need to create the templates for each page type. To create blank files for the templates go to the campaigns tab in administration and click on the Add Templates button by the current campaign. 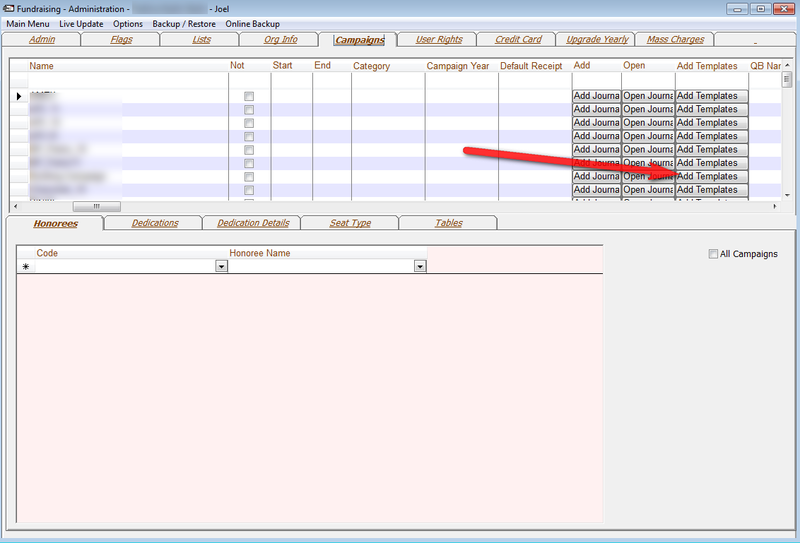 This will add blank files in the Attachment Journal folder and open the folder. You will now to need overwrite these files with your template for each type. To actually get a blank new page you just click on Edit Page in the Journal screen. You can click on it from the Mass Journal or from the journal tab in accounts. If a page has already been started the word edit page will be red. 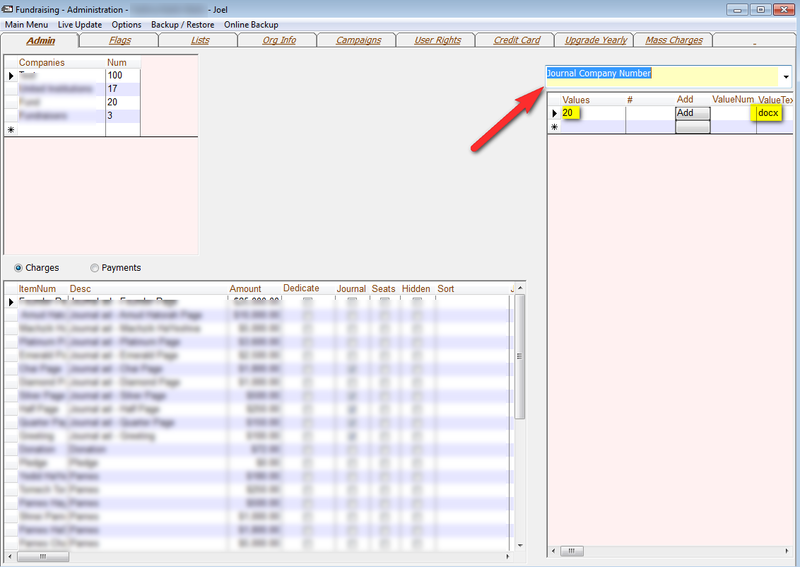 When editing a page our Journal Helper app will open on top of the screen. 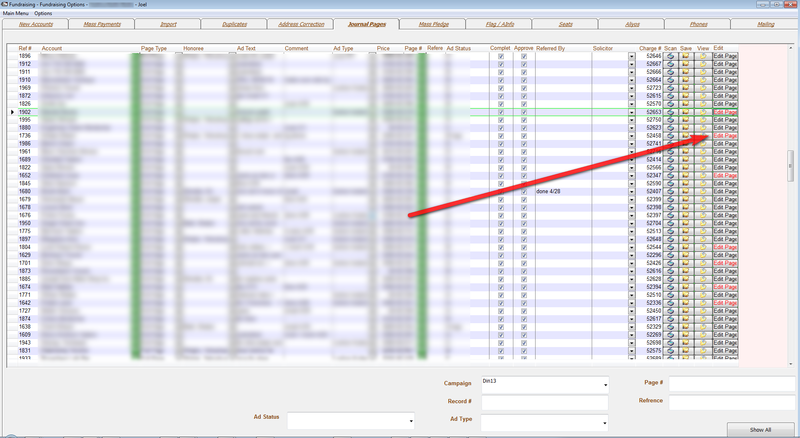 From there you can copy the name ad text or open the file that was scanned or attached to the current page. It will also display the name of the account being worked on (1) and you will be able to go to that account (3). You can also change the Ad Status from this screen (2). Also when emailing the journal report with attachments these files will go along. Do you support any other software at this time? No. Which software do you want to use? In the past we used Adobe. Our graphic designer created borders, which we inserted into Adobe and we put the text into our old database system, and exported it to Adobe. Would word work the same way?